The flat earth society has members all around the globe. Creative Commons 3.0 AT License (full text in German). If you wish to use any of them and fit the requirements stated in the license, feel freel to do so. 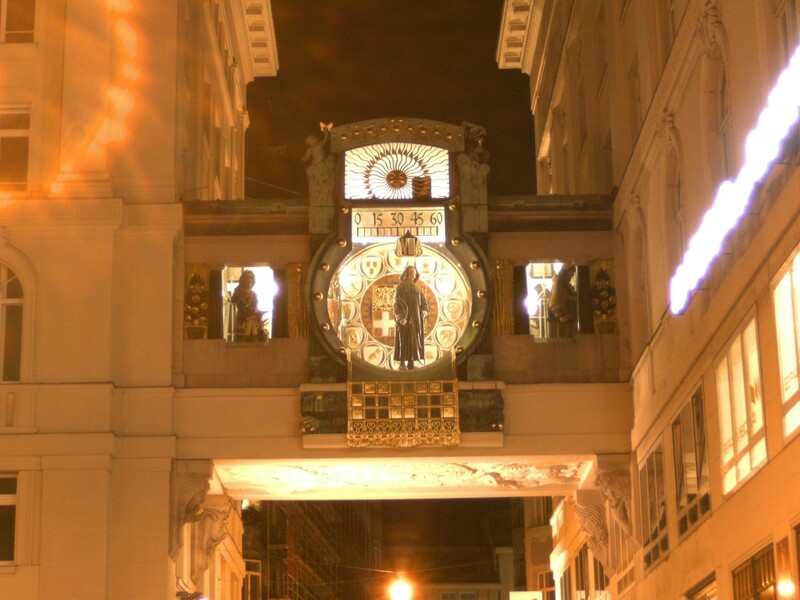 Now that it is getting dark earlier and earlier, I figured I could shoot a few pictures of Vienna by night. I plan to do a few more of these sessions, especially because I love this light and the wonderful contrasts. And it’s an additional benefit that, with an exposure of several seconds, you cannot see people walking through the picture. 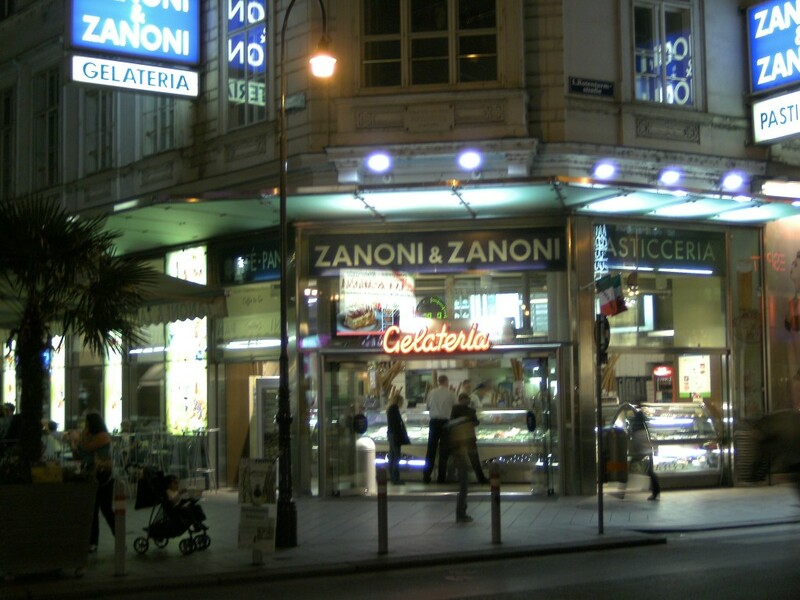 Zanoni - Arguably Vienna's second best ice cream parlour. Open all year, and they do really speak Italian. Lugeck. 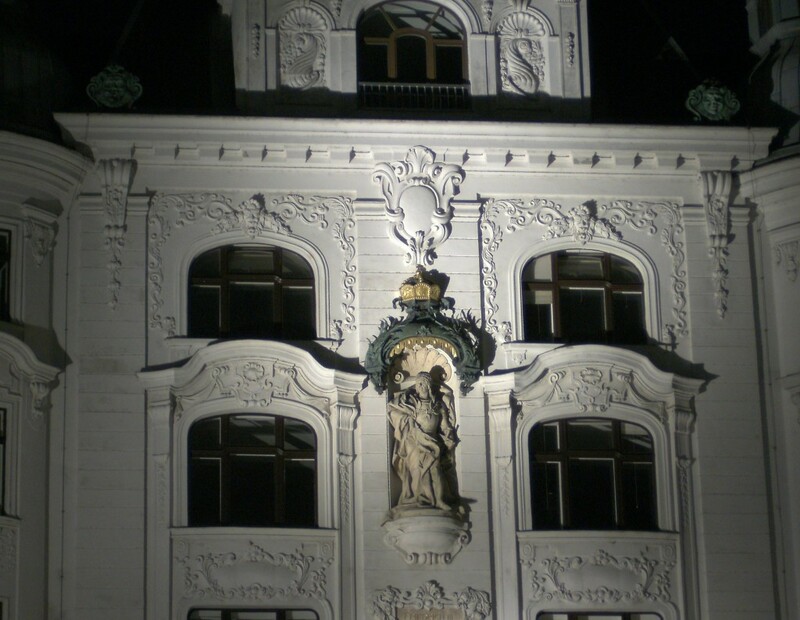 The statue is Emperor Friedrich III, the one who still baffles the nation with his unexplained acronym AEIOU. The two towers of the Jesuit Church from behind. 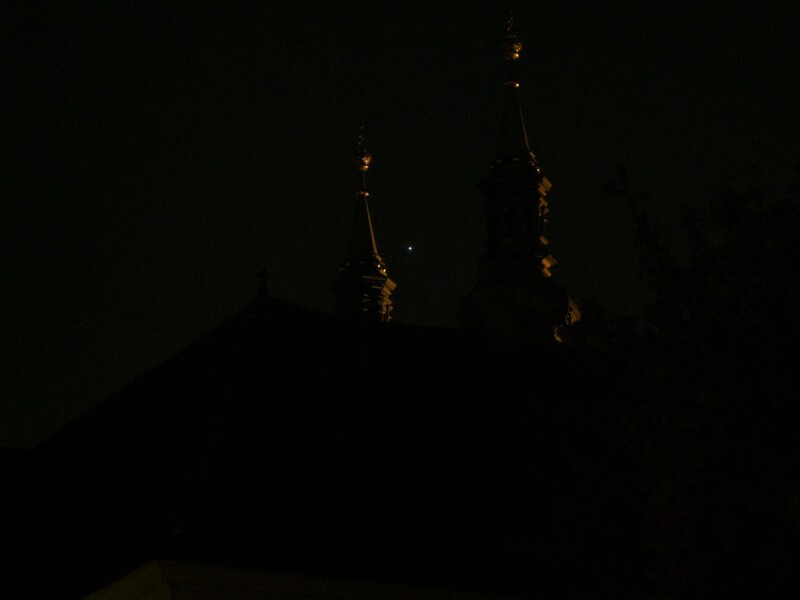 If I've got it right, the bright star in between is the planet Jupiter. 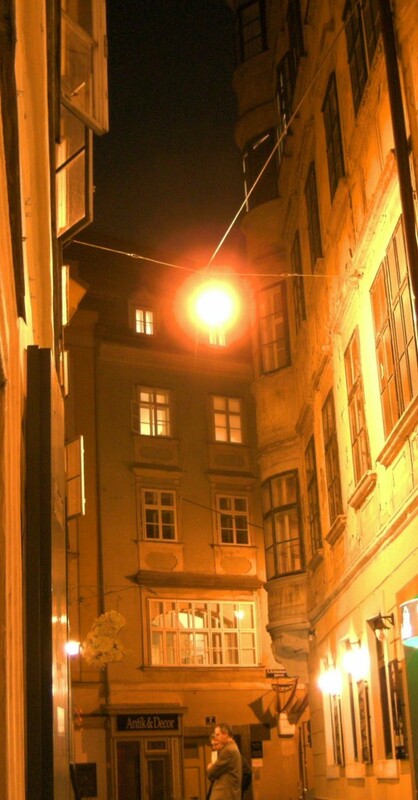 Schönlaterngasse, where they had a basilisk in 1212. In my opinion, the Haas-Haus, facing Stephansdom, is grossly underappreciated. 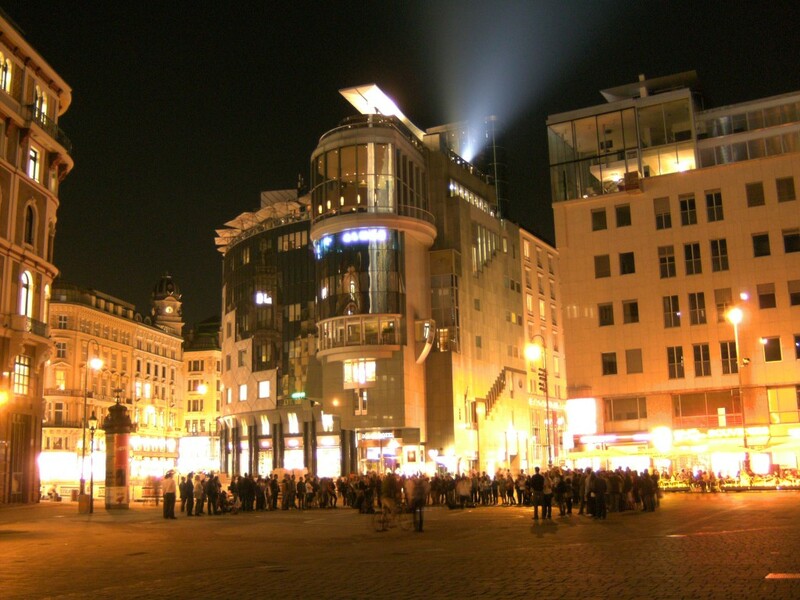 This picture shows the Haas-Haus from a rather unusual angle. The Ankeruhr has its name from the insurance company (Anker, now Helvetica) whose building it belongs to. Every hour it shows a different historical character. The person shown is Johann Andreas von Liebenberg. 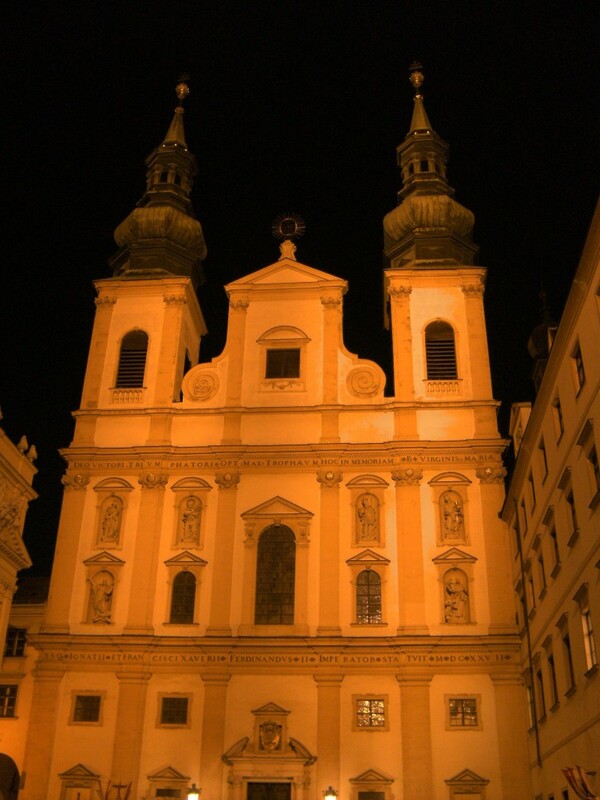 He was mayor of Vienna and died during the 1683 Battle of Vienna. By the way, it's 8:38. Following a half-hearted recommendation by Stephen Fry I started to play http://www.freerice.com today. It’s one of the more compelling ideas I have seen lately, largely because it’s so simple: Play a quiz. For every answer you get right, 10 grains of rice will be donated through the UN World Food Program. Easy, if not very much. The whole thing is funded through advertising on the site, which seems to be lacking totally. The site has been around since 2007, so don’t expect any to turn up soon. Now, how much are 10 grains of rice? I’ve counted somewhat around 315 grains of rice in one teaspoon. To get to 100g, I needed sixteen of those teaspoons. I did my math and found out that you needed some 25,000 grains of rice to feed a person for a day. So, don’t expect that your making a big difference. Still, a small difference is way better than nothing. And it’s entertaining. You can choose from a number of subjects; arts, chemistry, geograph, math. And several languages. My favourite is the English Vocabulary quiz. I soon found out how much I have yet to learn. It’s no so much the words of Latin or French origin. We have a lot of those in German, and mostly they mean the same. No, what really gets to me is the high number of rarely used or colloquial English words you just don’t learn in school. And it’s educational value is raised by the fact that you are presented those questions you answered wrong again a little later. So, even though I’m aware it’s no more that slacktivism, I’m going to continue playing.